Transport Minister, G.S. Bali being honoured by HRTC Conductor Association at Shimla today. Transport and Food and Civil Supplies Minister G.S. 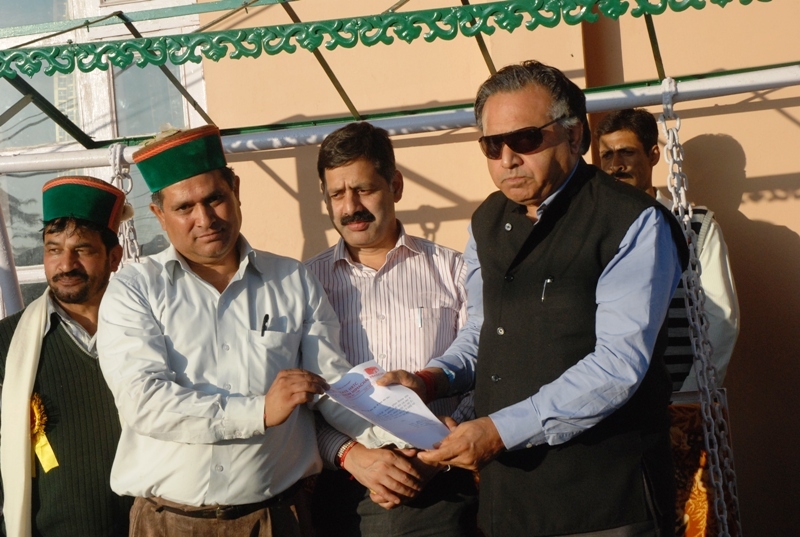 Bali said that efforts were being made to make Himachal Road Transport Corporation a profit earning unit. He exhorted the employees of the Corporation to extend their wholehearted cooperation to achieve this target. He was interacting with HRTC Conductors Association here today. Shri Bali said that Government was committed to solve various problems of the employees of the Corporation. He said that 500 new buses would be added to the existing fleet of HRTC adding that 20 new Volvo buses had been introduced and 30 more Volvo buses would be added soon to facilitate the commuters. He said that the Corporation had extended automatic insurance cover to its employees and honoured the employees performing par excellence on the occasion.He assured to consider all the demands of the employees on priority. President of the Association Shri Khushal Jhamta apprised the Minister about the demands of the Association and urged to fulfil the demands of employees at the earliest. Earlier Shri Jhamta and Shri Pyare Lal Kashyap honoured the Minister.Chief Parliamentary Secretary Shri Rajesh Dharmani, senior officers .of the HRTC, representatives of NSUI and members of the HRTC Conductors Association and employees of the Corporation were present on the occasion.